The First Hill Streetcar has missed the summer grand opening sought by Seattle transportation chief Scott Kubly, but he says full service should begin soon. It turns out Seattle transportation Director Scott Kubly made a wise move this spring, when he refused to give a specific opening date for the $135 million First Hill Streetcar. His hopes to carry passengers by summer have faded into fall, and maybe winter, because of multiple problems. 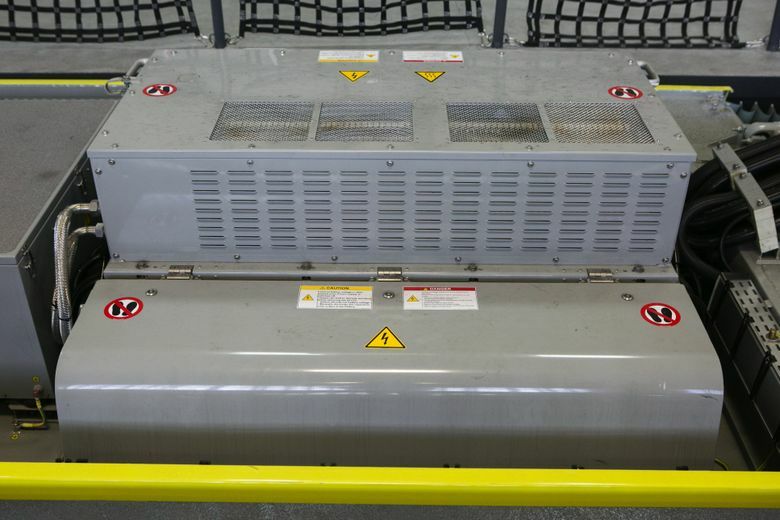 Rain recently leaked into some of the trains’ roof-mounted electric converters, which are to take direct current from overhead wires and send it as alternating current to power the motors and brakes. Two converters are being shipped back to Switzerland and others need at least a retrofit. Officials say this new problem isn’t causing more delays. Instead, the contractors are still troubleshooting, checking and testing the Seattle line’s elaborate wiring and propulsion systems. And in a maintenance shop near the Chinatown International District, about a dozen staff from Czech train maker Inekon, including its vice president, have joined local assembly workers from Pacifica Marine. The Seattle Department of Transportation (SDOT) disclosed the schedule slippage in a section of Kubly’s monthly report to a City Council committee. The department’s contract is worth $27 million for the First Hill trains (Amazon bought another train for the South Lake Union line that runs through the company’s campus. That train also is yet to begin service). Simulated service, with empty trains running the 2.5-mile route on a normal schedule, could begin within days, Kubly said. So far, the fleet has completed 50 round trips from Pioneer Square to Broadway, and by the time this week begins, six of the seven trains should qualify for frequent trial runs, said Ethan Melone, city streetcar project manager. Each train, including the orange Amazon train now parked in a South Lake Union maintenance base, must successfully travel 310 miles before carrying passengers, Melone said. Kubly still won’t offer a grand-opening prediction — for a line that was supposed to open in early 2014. “We’re not going to announce a date until we are confident in a date we’ll hit. We’re working every day to finish out the cars. We’re in a good place now,” he said. A statement by Mayor Ed Murray sounded gloomier, saying he “will be forced to consider other alternatives” if Inekon doesn’t finish soon. “This delay is unacceptable,” Murray added. A spokesman wouldn’t elaborate on Murray’s options. Murray noted that SDOT renegotiated the penalties for late delivery by the manufacturer, which now owes the city nearly $800,000. This streetcar corridor was devised by Sound Transit to connect its busy International District/Chinatown Station to next year’s Capitol Hill Station, after the regional transit board in 2005 canceled a deep light-rail station at First Hill. Sound Transit handed design authority to Seattle, which created trackways that mix with general traffic, with average speeds as low as 7 mph — a factor that’s made the project a topic for scorn even by some transit supporters. “The ghost of Rube Goldberg would be amused,” says an essay by Zach Shaner in Seattle Transit Blog. On the positive side, trains are to run as often as 10 minutes in the state’s most densely populated area, including colleges and hospitals. 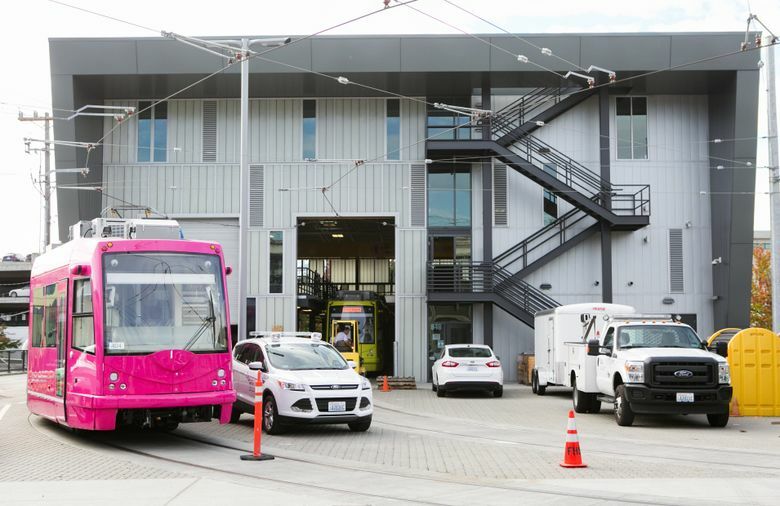 In its order to Inekon, which built the reliable South Lake Union streetcars, SDOT asked for the ability to retract the rooftop power poles, to run part of the route offline using stored battery power. This challenging design feature avoids conflicts with overhead power wires that move King County Metro trolley buses. Streetcar critics blast the city for not simply using the trolley buses to shuttle between Capitol Hill and Chinatown. Metro just bought a new fleet of low-floor, comfortable vehicles for use in the city, including routes that overlap with the streetcar. The power converters atop the streetcars are box-shaped cabinets, enclosed in metal. Rain water has leaked through, because of a manufacturer’s defect, Melone said. They’re made by ABB Switzerland. Final tests can be carried out even with two converters missing, Kubly said, because they can be easily swapped among trains. “Given that fall and winter are the rainiest time of year, we want to make sure that whatever we put on the street will be as reliable as people will expect,” he said. Meanwhile, the public this fall will vote on the nine-year, $930 million Move Seattle transportation levy, proposed by Murray and supported by the City Council. Move Seattle does not include money for streetcar lines. Murray is counting on the federal government to help with large grants. The city is holding two open houses next week at City Hall for the proposed Central City Connector, to run in its own lanes on First Avenue, from McGraw Plaza, near Westlake Center, to Pioneer Square. 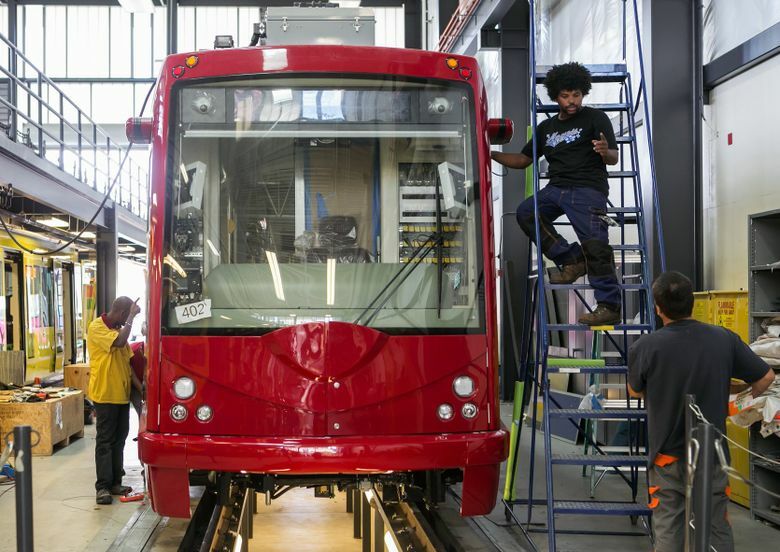 Seattle’s streetcar woes are being watched nervously in Oklahoma City, whose leaders last week recommended signing with Inekon for a 2017-18 delivery. The Oklahoma City trains also have offline battery power, to pass under a Burlington Northern Santa Fe Railway viaduct. 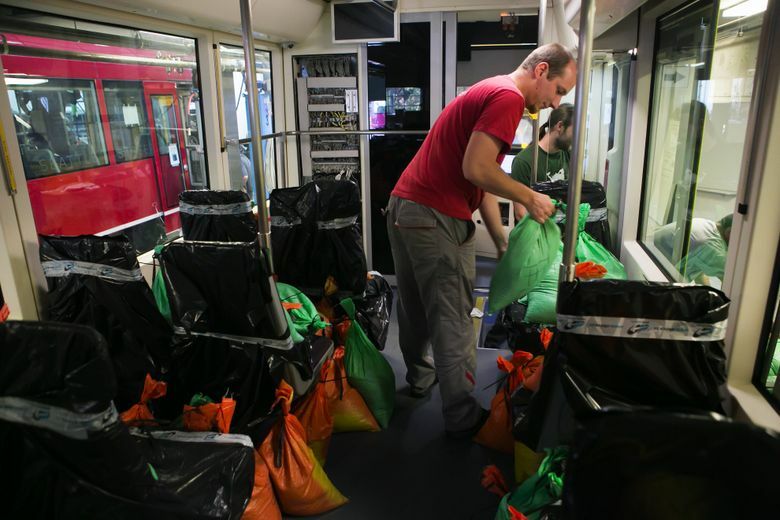 Planned streetcar systems in Kansas City and Washington, D.C., have also fallen behind schedule, for various reasons. Dallas opened a streetcar line in April. 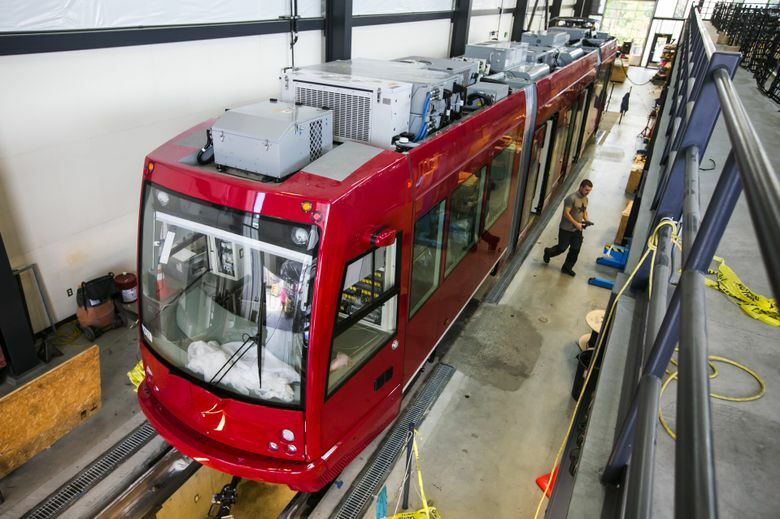 Rick Gustafson, vice president of Shiels Obletz Johnsen, which has advised Seattle and other cities on streetcars, said Inekon will finish its First Hill job and provide the same quality trains as in South Lake Union. The company showed its mettle shortly after the South Lake Union line opened in December 2007, he said, when it replaced gouged axles under warranty. He also predicts Oklahoma City will benefit from the technical lessons learned in Seattle. 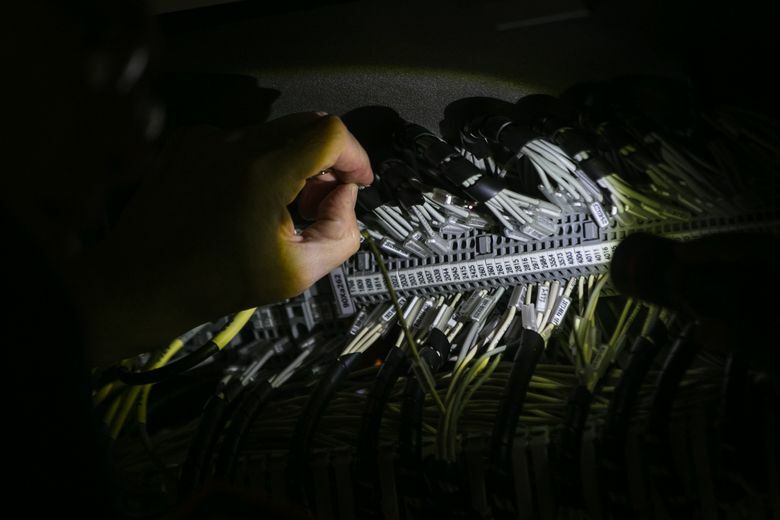 “I’m confident Inekon is committed to the U.S. market, and they know if there were to be a serious and permanent disappointment somewhere, it would be the death knell,” he said.